Keeping up with our belief of excellence for our customers, aamra has always favoured the dependable networking equipments of Cisco, to ensure that best possible internet benefits are received through Cisco’s world class switches, routers, firewall and also the Unified Communications System (UCS). 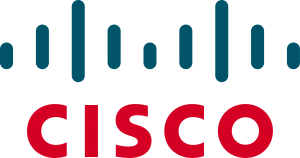 As one of the leading global manufacturer of networking devices, Cisco has set a benchmark in the technology industry that is both unique and unparalleled. Cisco’s solution is amongst the most preferred for enterprise-wide deployment of networked business applications.